DJI’s Mavic 2 drones are among the most user-friendly flying cameras around, but that doesn’t mean there’s no room for improvement. 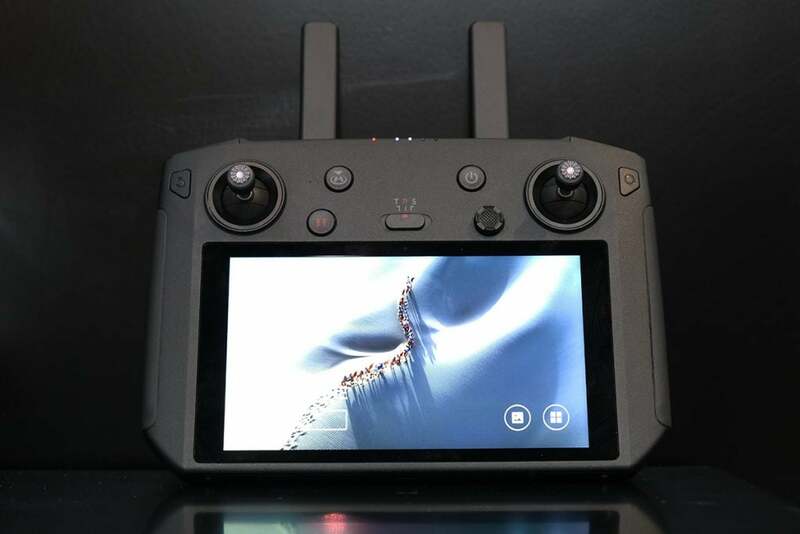 One area that owners have been keen to see upgraded is the controller, which is why DJI has just released a new accessory called the DJI Smart Controller. 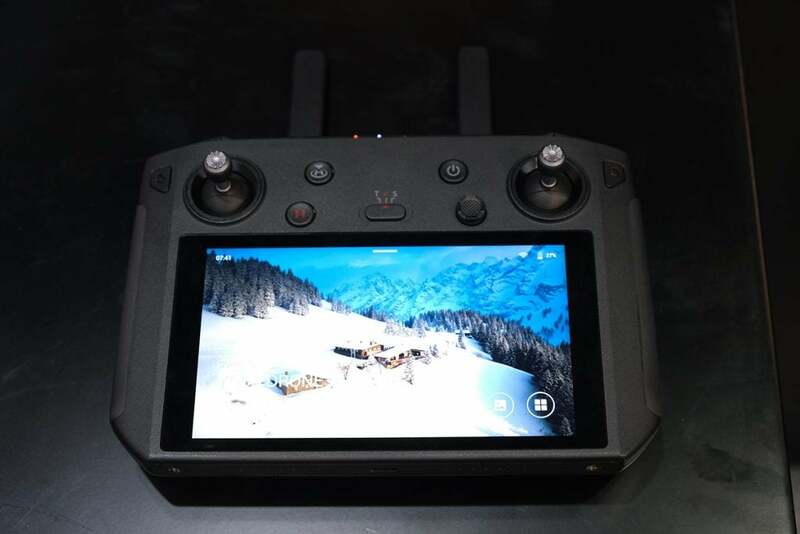 Built to work with DJI drones that use Ocusync 2.0 (which is, so far, the Mavic 2 Pro and Mavic 2 Zoom), the Smart Controller comes with a super-bright screen and a raft of other benefits that make it a big upgrade from the existing pad. 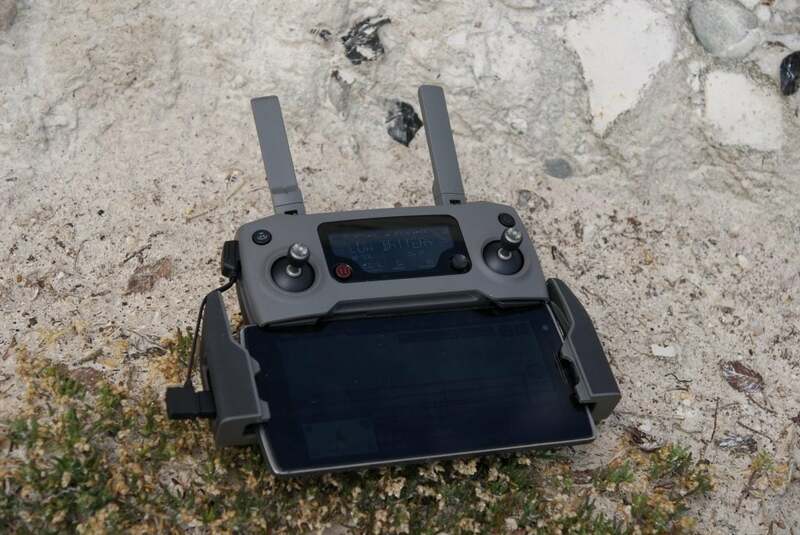 The current controller is by no means a bad way to shoot aerial videos with your Mavic 2, but it does rely on you plugging in your smartphone and using its screen to see where you’re flying. This isn’t always ideal on bright, sunny days, and neither is having to give up your phone during flying sessions. So is the Smart Controller an essential Mavic 2 accessory or just an indulgent ‘nice to have’? I played with one at CES 2019 to find out. You can buy the DJI Smart Controller now for £579 from DJI’s UK site. 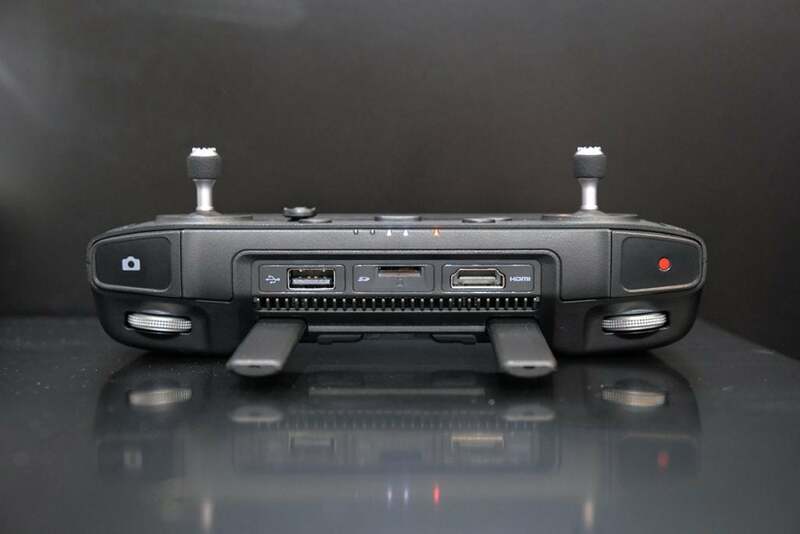 If you don’t already have a DJI Mavic 2 Pro or DJI Mavic 2 Zoom, you can also buy the controller as part of bundle with these drones, which sees it effectively cost £430. Either way, there’s no getting around the fact that the Smart Controller is a pricey accessory. It’s £130 more than a DJI Spark drone, for example, and pushes your investment up towards the £2,000 mark, which is the going rate for an earth-based, full-frame camera. Still, as their names suggest, these drones are for ‘pros’ as well as hobbyists, and many of the Smart Controller’s features are designed to unlock those professional talents. 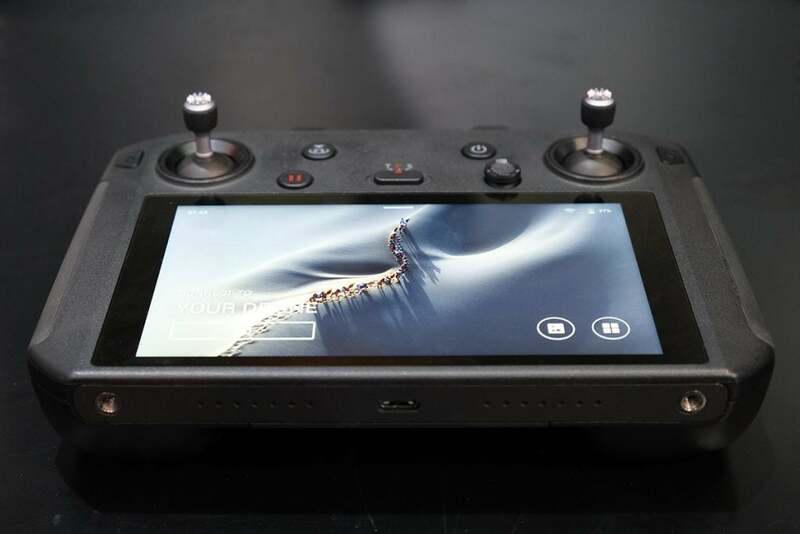 The DJI Smart Controller is effectively a cross between a 5.5-inch Android phone and the Mavic 2’s existing controller. Its screen is very bright at 1,000 nits (by comparison, most of today’s smartphones are between 500-700 nits) and it runs a skinned version of Android 7.1.2. In the hand, the Smart Controller feels chunky and well built, with its generous grips giving it the balanced feel of a DSLR. By comparison, the existing Mavic 2 controller feels a bit clunky and awkward. Unlike that bundled pad, there’s no faffing around with fitting your phone between two controller arms on the Smart Controller or plugging it in. The design feels very considered too, with the option of clipping the removable joysticks into a groove on the back that’s then helpfully covered by the fold-out antennas. The existing controller is a perfectly fine way to control your Mavic 2 drone, but feels a little cramped and fiddly by comparison. Overall, it feels less cramped than the existing Mavic 2 controller (above). 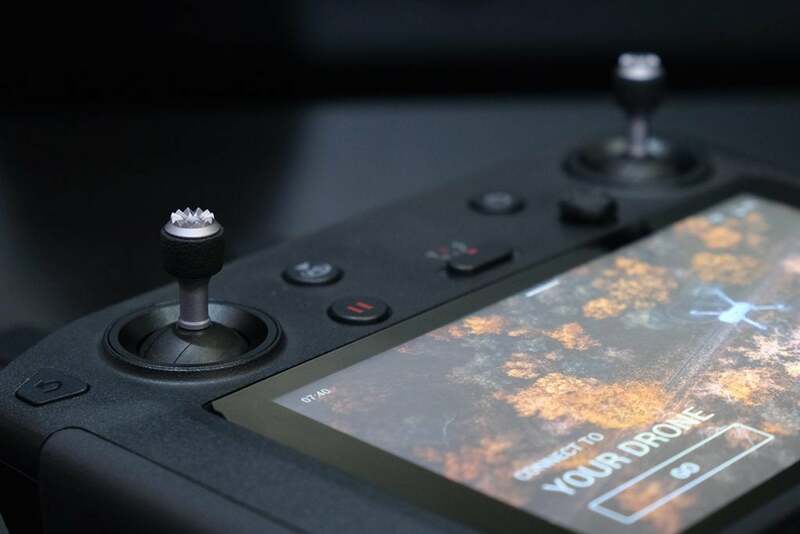 The joysticks are a little further apart, and the has the added benefit of ensuring that your hands won’t cover the screen when you’re flying and trying to see the screen preview. The Smart Controller is also a little hardier than your average smartphone, with the ability to withstand temperatures between -4°F up to 104°F. That means you shouldn’t have any issues with screen freezes or battery drain if you, for example, take your Mavic 2 up a mountain on a skiing trip. If you’ve already used a Mavic 2 controller, you’ll be pretty familiar with most of the Smart Controller’s buttons. On the front between the joysticks you have, from left to right, a Pause button (for immediately stopping your Mavic 2 in its tracks if it’s tree-bound), a Return-to-Home button for summoning it back like a naughty schoolchild, a mode switch, and an extra control nib. Either side of the joysticks are two handy buttons (select and back), which let you navigate on-screen menus without turning the screen into a smudgy mess of fingerprints. And on the shoulders are shutter buttons for taking stills and video, plus two wheels for tilting and panning your drone’s camera. Look around the back and you’ll find another nice touch – two customisable buttons, which can be used to quickly change things like EV exposure compensation without needing to dip into the menus. Turn on the Smart Controller and there’s no doubting its star feature – that 5.5-inch, 1080p screen. I’ll need to take it for a spin on a blazing sunny day, but its brightness and clarity really stood out even in the fairly challenging conditions of a bright and busy CES show floor. It looks like a decent step top from most smartphone displays. Of course, you won’t get to see your 4K recordings at their full resolution on that HD screen, but if you need to preview them when out in the field then there’s an HDMI port that can output 4K/60fps video to an external monitor. Inside the Smart Controller is 16GB of storage, though this isn’t really for storing full-resolution videos and stills. Instead, this stores cached, 720p versions of your files, so you can see what you’ve recorded without taking the microSD card out of your drone. Proper storage comes via the Controller’s microSD slot, where you can slot in a 128GB card to swallow up your recordings and also install third-party apps. I need to confirm exactly which apps come pre-installed on the Smart Controller (the sample at CES was sadly Chinese-only), but it has some handy capabilities out of the box that again lift it above what’s possible on the standard controller. A new ‘Go Share’ function in the DJI Go 4 app, for example, lets you quickly transfer videos and stills to your tablet or smartphone. 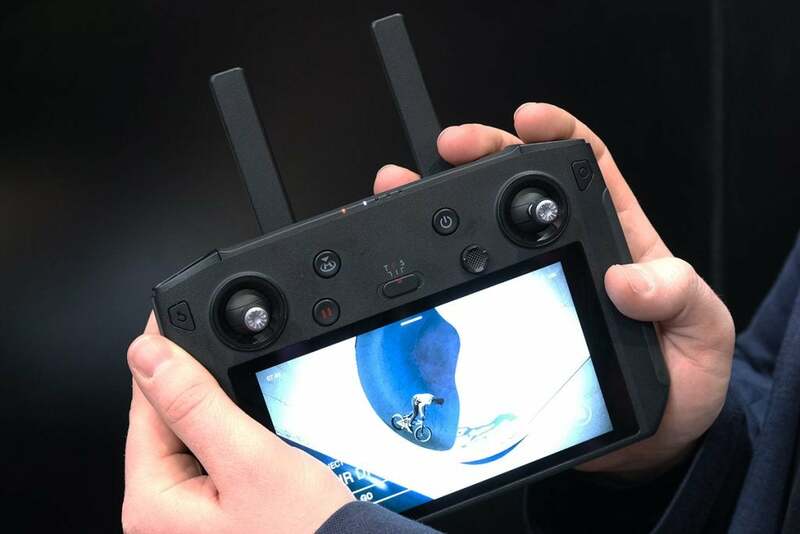 The controller also has a built-in microphone and speaker, which opens up the possibility of live-streaming your soaring aerial videos with some voiceover commentary. The only downside is that you’ll likely need to use smartphone tethering for live-streaming, as there’s no SIM card tray to add mobile data to the controller’s Wi-Fi and Bluetooth. All of this functionality does require a decent amount of juice and, despite its size, the Smart Controller can only keep going for 2.5-hours per charge. 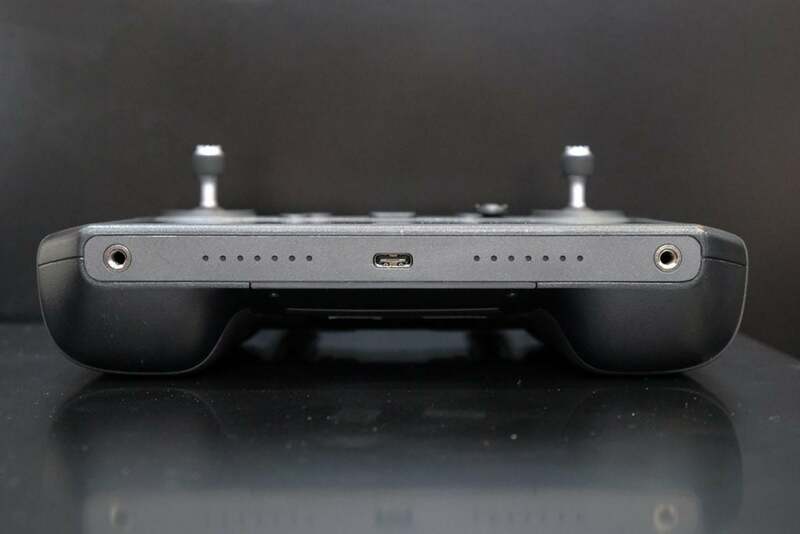 Still, the Mavic 2 drones can only keep going for 31 minutes per charge each and you can top up its battery by plugging an external battery into its USB-C port. Finally, those antennas give you a range of 8km (in the US) or 5km (in the UK), with the connection’s stability improved by the fact that Ocusync 2.0 helpfully switches between the 2.4Ghz and 5.8Ghz bands depending on which is best. Those distances are more theoretical than realistic though – in the UK you’re unlikely to be able to use the full extent of that range as drone laws (which are currently being tightened following certain airport incidents) say that you must always keep your drone in line of sight. The Smart Controller is shaping up to be one excellent accessory for DJI’s Mavic 2 drones. 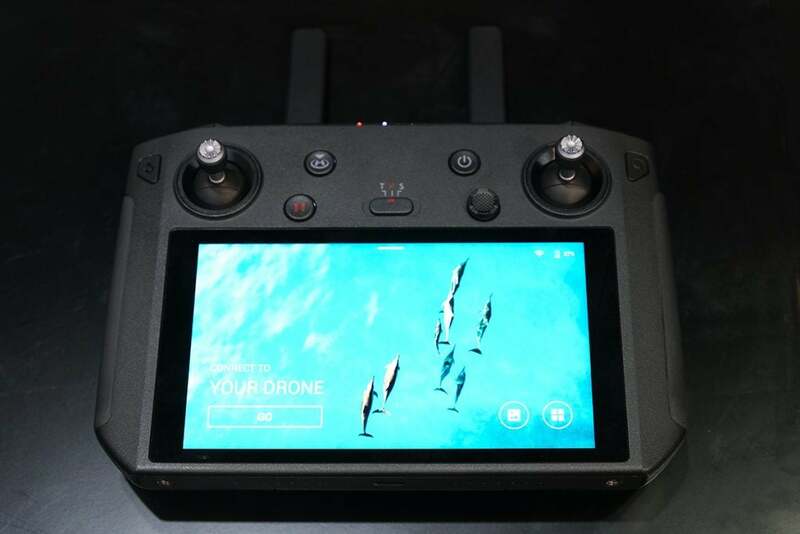 Its super-bright screen, improved ergonomics, and bonus features like the microphone for adding commentary to your soaring aerial videos all make it a big improvement over the bundled controller. The question for most Mavic 2 owners, though, is whether this will be worth the Smart Controller’s hefty £579 asking price. This does push it a little towards pros who are looking to make money from their videos rather than the average hobbyist. Still, if you can afford it and haven’t already maxed out your drone budget, it does also promise to make the Mavic 2 drones even easier and more enjoyable to fly. We’ll bring you our full review very soon. 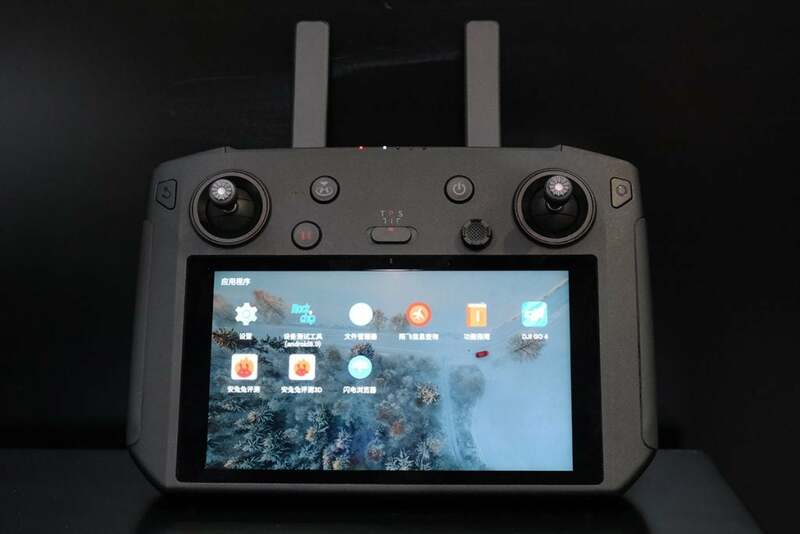 The post DJI Smart Controller first look: quality control appeared first on Trusted Reviews. Samsung Galaxy M10 vs Samsung Galaxy M20: What’s the difference?